The way we see it, any product designed to make your job quicker, easier and cleaner is a thing of beauty. 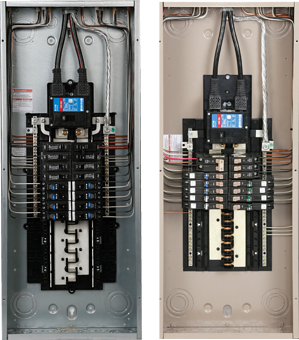 And when the end result looks this good, you’ll want to step back and admire every breaker and loadcenter you install. But appearance is just one of the advantages that sets this portfolio apart from the competition. At Eaton, we’re driven by a desire to improve your experience by delivering products as professional as our customers. The BR and CH plug-on neutral portfolio offers advanced features designed to help you improve safety and ease of installation, and reduce your installation time while offering a more professional look and feel.